[S488] Index - Queensland BDMs (online and fiche), at https://www.qld.gov.au/law/…, Birth Reg. No. 1891/C9008. [S753] Australian BDM Indexes 1788-1950, at http://www.ancestry.com/, Queensland births, Reg. No. 9008, p22307. [S488] Index - Queensland BDMs (online and fiche), at https://www.qld.gov.au/law/…, Marriage Reg. No. 1909/C3057, p14837. [S183] National Archives Film - Queensland BDM Indexes, Microfilm, Reg. No. 1888/007820 - this lists her registered birth as Ethel Maud, but all subsequent records show Maud Ethel. [S410] CD - Federation Index, Queensland Pioneers Index 1890-1914 CDROM, 1911/B010163. [S183] National Archives Film - Queensland BDM Indexes, Microfilm, Reg. No. 1911/B010163. 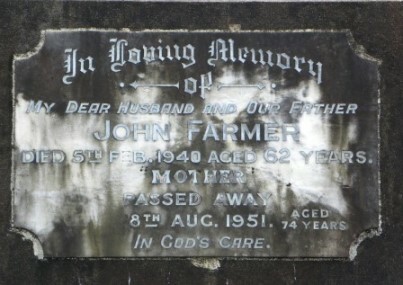 [S223] Cemetery Entry - John Sinclair, Mt Gravatt Cemetery, Page 329. 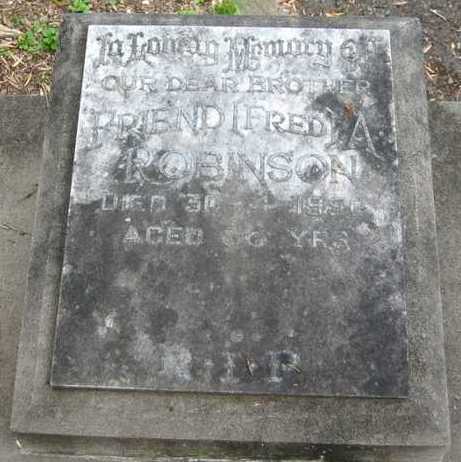 [S489] Brisbane City Council Cemeteries database, at https://graves.brisbane.qld.gov.au/, Lawn, portion L2, grave 188. [S183] National Archives Film - Queensland BDM Indexes, Microfilm, Reg. No. 1877/001929. [S488] Index - Queensland BDMs (online and fiche), at https://www.qld.gov.au/law/…, Marriage Reg. No. 1901/C1640. [S183] National Archives Film - Queensland BDM Indexes, Microfilm, Reg. No. 1901/001640. [S183] National Archives Film - Queensland BDM Indexes, Microfilm, Reg. No. 1940/B046922. [S183] National Archives Film - Queensland BDM Indexes, Microfilm, Reg. No. 1951/B033742. 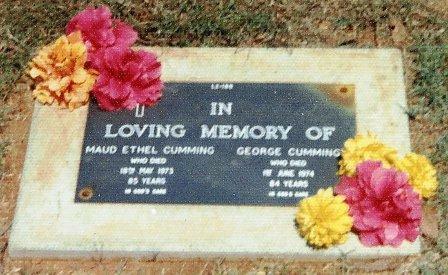 [S489] Brisbane City Council Cemeteries database, at https://graves.brisbane.qld.gov.au/, Grave 341, Portion 6. [S488] Index - Queensland BDMs (online and fiche), at https://www.qld.gov.au/law/…, Death Reg. No 1981/2696. [S489] Brisbane City Council Cemeteries database, at https://graves.brisbane.qld.gov.au/, Lawn, portion L6, grave 705. [S183] National Archives Film - Queensland BDM Indexes, Microfilm, Reg. No. 1901/008321. [S488] Index - Queensland BDMs (online and fiche), at https://www.qld.gov.au/law/…, Birth Reg. No. 1883/C5547. [S753] Australian BDM Indexes 1788-1950, at http://www.ancestry.com/, Queensland births, Reg. No. 5547, p12694. [S488] Index - Queensland BDMs (online and fiche), at https://www.qld.gov.au/law/…, Marriage Reg. No. 1909/C1291. [S753] Australian BDM Indexes 1788-1950, at http://www.ancestry.com/, Queensland marriages, Reg. No. 001291, p22315. [S488] Index - Queensland BDMs (online and fiche), at https://www.qld.gov.au/law/…, Birth Reg. No. 1909/C5221. [S488] Index - Queensland BDMs (online and fiche), at https://www.qld.gov.au/law/…, Birth Reg. No. 1910/C5636. [S488] Index - Queensland BDMs (online and fiche), at https://www.qld.gov.au/law/…, Birth Reg. No. 1911/C6028. [S488] Index - Queensland BDMs (online and fiche), at https://www.qld.gov.au/law/…, Marriage Reg. No. 1921/B27059, p4078. [S488] Index - Queensland BDMs (online and fiche), at https://www.qld.gov.au/law/…, Death Reg. No. 1956/B13171, as Frederick Austin Robinson. 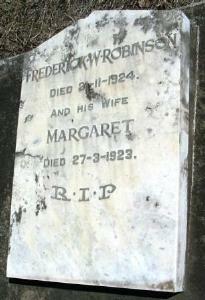 [S489] Brisbane City Council Cemeteries database, at https://graves.brisbane.qld.gov.au/, Grave 290K, Portion T, under the name of Frederick Austin (despite the evidence to the contrary of the gravestone!). 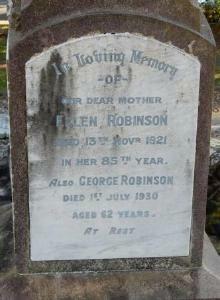 [S190] Index - GRO and Office of National Statistics, England & Wales Civil Registration Qtrly Indexes, Birth: District of Hollingbourne, Vol 2a, p409, 3Q1855, mother's maiden name BAKER. [S716] NSW State Records, at http://www.records.nsw.gov.au/, Persons on bounty ships to Sydney, Newcastle, and Moreton Bay (Board's Immigrant Lists), Series #5317, Reel: 2477. [S488] Index - Queensland BDMs (online and fiche), at https://www.qld.gov.au/law/…, Marriage Reg. No. 1875/B004746. [S183] National Archives Film - Queensland BDM Indexes, Microfilm, Reg. No. 1875/B004746. [S183] National Archives Film - Queensland BDM Indexes, Microfilm, Reg. No. 1924/B044436. [S488] Index - Queensland BDMs (online and fiche), at https://www.qld.gov.au/law/…, Death Reg. No. 1924/B44436. [S930] BDM QLD Registry, death record, Reg. No. 1924/44436. [S488] Index - Queensland BDMs (online and fiche), at https://www.qld.gov.au/law/…, Birth Reg. No. 1878/C1987. [S488] Index - Queensland BDMs (online and fiche), at https://www.qld.gov.au/law/…, Birth Reg. No. 1880/C2326. [S488] Index - Queensland BDMs (online and fiche), at https://www.qld.gov.au/law/…, Birth Reg. No. 1885/C6468. [S488] Index - Queensland BDMs (online and fiche), at https://www.qld.gov.au/law/…, Birth Reg. No. 1893/B53281. [S183] National Archives Film - Queensland BDM Indexes, Microfilm, Reg. No. 1868/B009195. [S488] Index - Queensland BDMs (online and fiche), at https://www.qld.gov.au/law/…, Marriage Reg. No. 1889/B012921. [S183] National Archives Film - Queensland BDM Indexes, Microfilm, Reg. No. 1889/B0012921. [S183] National Archives Film - Queensland BDM Indexes, Microfilm, Ref. No. 1930/B11375. [S488] Index - Queensland BDMs (online and fiche), at https://www.qld.gov.au/law/…, Death Reg. No. 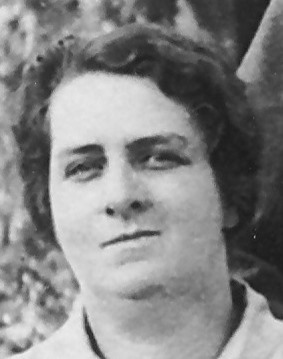 1930/B11375. [S489] Brisbane City Council Cemeteries database, at https://graves.brisbane.qld.gov.au/, Grave 76, Portion 12.